London is a great place to live if you love food. Whether you prefer restaurant dining or cooking at home, you can find eateries and groceries representing many of the world’s cuisines. Of course, I live in North Finchley, which is out in zone 4 and definitely suburban territory. Don’t get me wrong, I am very happy here, but it doesn’t have the array of restaurants one can find more centrally. It is pretty good on ingredients though, with Turkish, Polish, Iranian and Japanese shops amongst those selling home-grown produce. 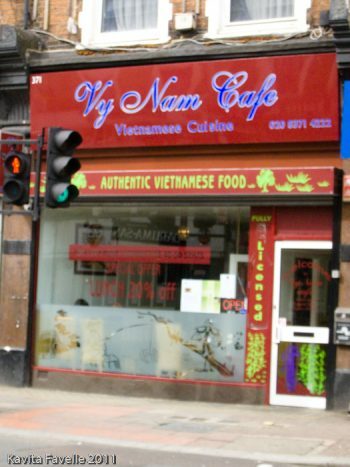 So I was very happy when @LondonEating tweeted me (and a couple of other local food lovers) to tell us about Vy Nam Cafe in Central Finchley, just down the road. Myself, Pete and Dom headed down for lunch a few days later. 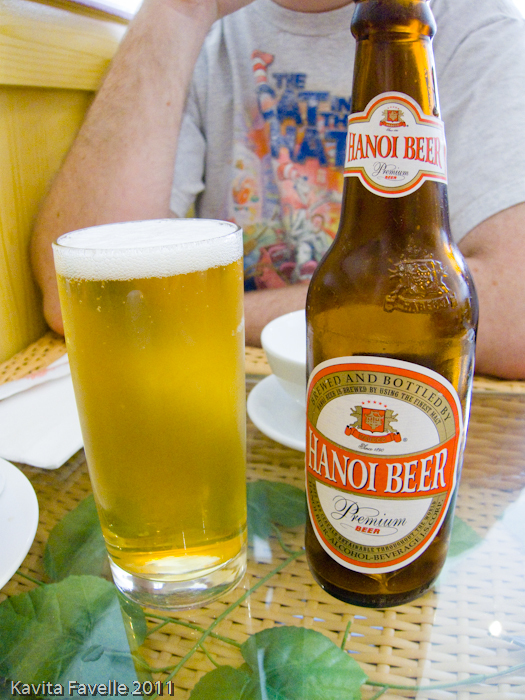 Pete and Dom were happy to try, between them, the 3 Vietnamese beers on offer (one of which I forgot to photograph). 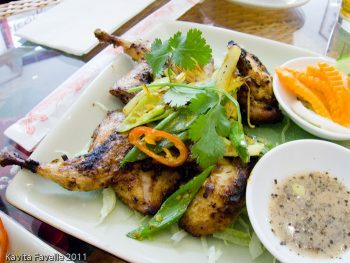 For starters we shared Vy Nam Special Soft Shell Crab (Cua Lot Rang Muoi’) £5.95, Meat Vietnamese Spring Rolls (Cha Gio) £4 and Char-Grilled Quails (Chim Nuong) £6.50. 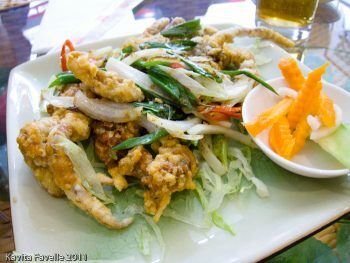 I say shared, I was the only one who ate the soft shell crab – yes, all of it! For me, the soft shelled crab was the best of the three starters. Hard to describe but if you like soft shelled crab, you’ll know. It was good. 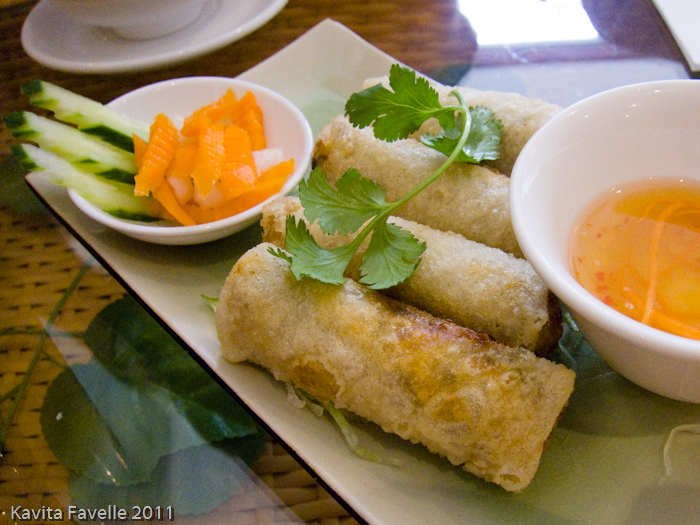 The summer rolls were great too, some interesting flavours inside and a simple dipping sweet chilli dipping sauce. The quail was decent but wasn’t as much of it as the photograph suggests and I couldn’t detect the honey, ginger and spices the menu described. I wouldn’t bother ordering it again. All three were served with really lovely lightly pickled vegetables – so good I could have eaten a huge plateful. The quail also came with a pale brown peppery dip. A taste made Dom and I recoil in horror at the salty sour assault on our senses, though Pete didn’t mind it. We later learned it was simply salt, pepper and lemon juice though it seemed so much more potent! 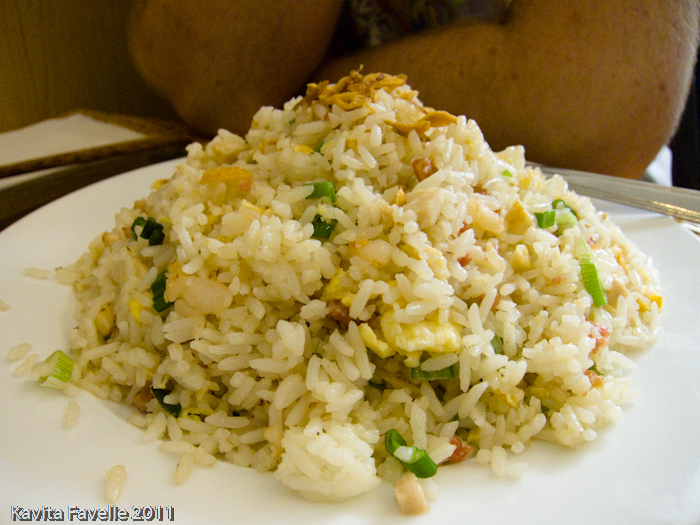 For mains, Pete chose Vietnamese Special Fried Rice (with Vietnamese sausage and ham, chopped king prawns and chicken) £5.50. It was alright, but quite bland, not much spice at all really. Felt more like a side-dish than something one might eat on its own. I think he was hoping for something more along the lines of Indonesian Nasi Goreng which has some wonderful flavours and is a great dish in its own right. 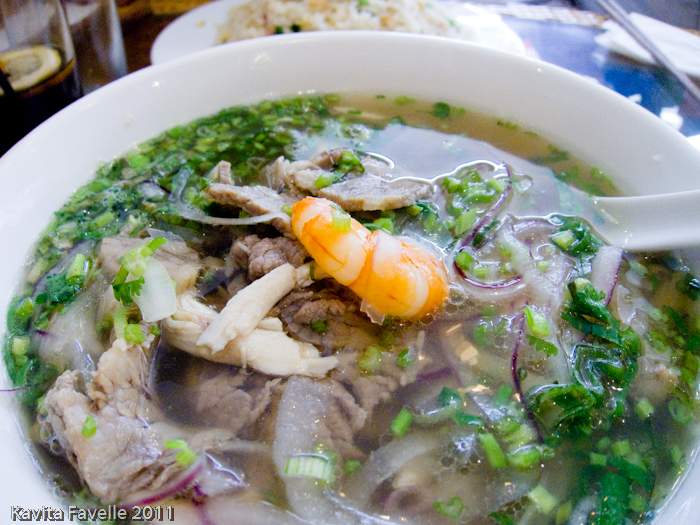 I went for one of the Pho specials, which had beef, chicken, prawn and other items listed and was about £7. The flavour of the broth was lovely and the noodles and contents good, though I wish there’d been more than one lone prawn. 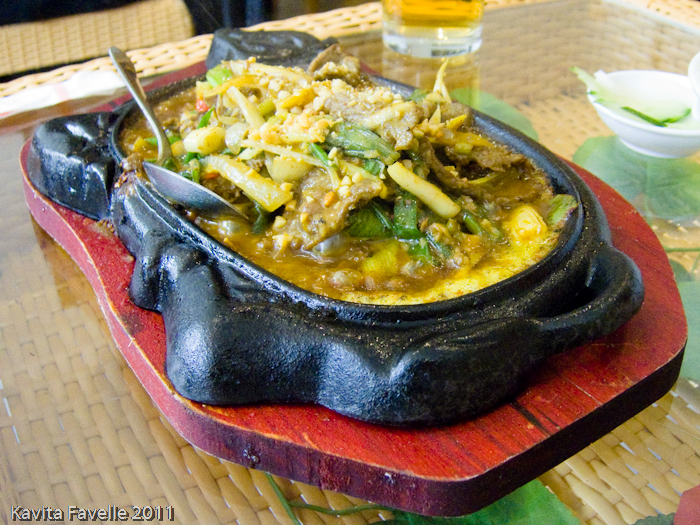 The best choice was Dom’s Sizzling Goat £6.95 which had wonderful flavours of galangal, lemongrass, coconut and peanuts. I’d definitely order this again. I’m definitely up for a return visit to try some of the other menu items that appealed, and have more of that soft-shelled crab and curry goat! Addendum: On a second visit in June, a friend and I enjoyed fresh summer rolls (a little light on prawns but tasty and fresh), an utterly fabulous papaya salad with prawns, the delicious sizzling goat curry above, with vermicelli noodles and beansprouts and some grass jelly and Vietnamese coffee to finish. 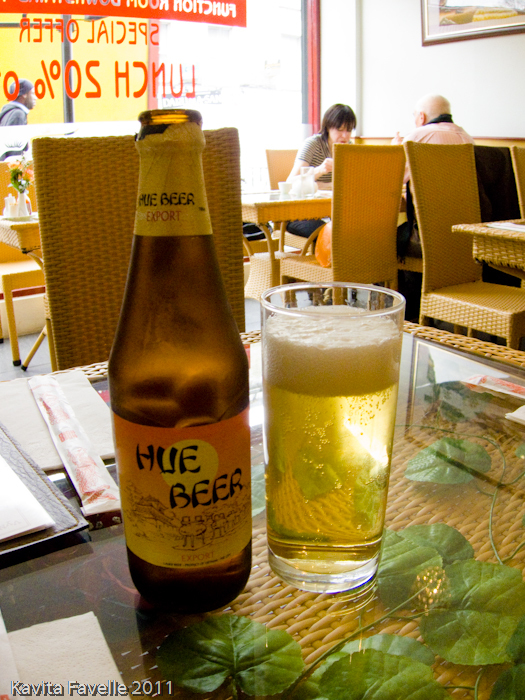 Again, some very fresh, zingy flavours… would recommend. 9 Comments to "Vy Nam Cafe"
It's good to see more Vietnamese joints open across London. North Finchley is a bit out of my range, but this looks a decent place should you happen to be in the area. PS: Did no one else fancy the crab? So good when a decent restaurant turns up in your neighbourhood – always welcome news! Oh- how marvellous. 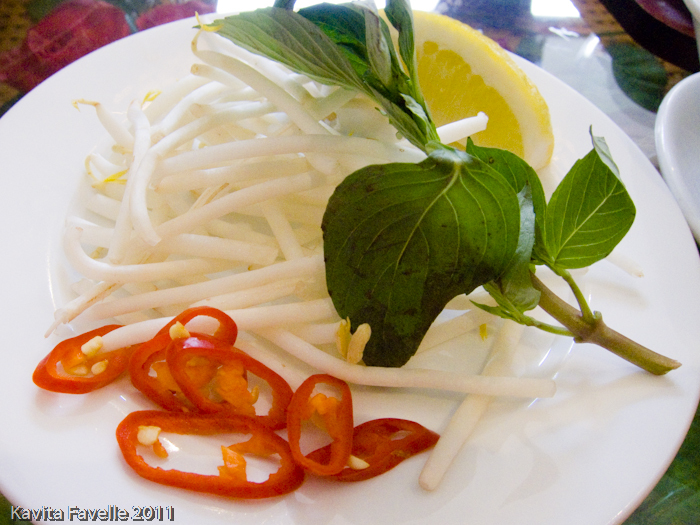 There's nothing better than a great local Vietnamese. To me it's the absolute answer anytime I'm feeling a little dusty. The soft shell crab IS amazing. As a family we eat out quite reguarly and can be fussy. We only live down the road and this was the first time we had eaten there (mid June). You get two decent size crabs which are really lightly dusted with cornflour before the frying with chilli and salt – there were a few other Vietnamese flavours thrown in too (lemongrass possibly). The portion we shared but is best for one as it tastes so good. The curried goat is amazing too, really rich and fragrant. The spring rolls are home-made (how rare is that! ), really light and taste wonderful. The beef salad again was so fresh and the portion size was good. My children are 7 and 9 and they both loved it, good choice of child friendly dishes, my son had sweet and sour chicken which comes in a whole fillet then sliced. Portion size is huge! It is advisable to book first! It's great to have this sort of place on your doorstep, even if not every dish works as well as it could. Once you have identified the (soft shelled) stars of the show, you can always order them. How can anyone turn down softshell crab? I would have fought you for a share. No one else wanted the soft shell crab.. what can I tell you, Dom and Pete are crazy peoples! It is nice to have a decent place locally. Like the look of the soft shell crab and quails. That's lucky to have one down the road. None near me – shame.